Harvard Center for Population and Development, 9780674033450, 278pp. In the nearly three decades since the AIDS epidemic was first recognized, scientists have made tremendous strides in devising treatments for people living with HIV/AIDS. Yet in Africa, where more than 60 percent of HIV-infected people live, treatments remain out of reach for most. A Line Drawn in the Sand captures the determination of several African nations in tackling the challenge of providing lifesaving antiretroviral therapies to their citizens: Botswana, which has some of the highest HIV infection rates worldwide; Nigeria, whose epidemic threatens to become one of the world's largest; Senegal, often touted as one of the few countries with a model response to the HIV/AIDS epidemic; and Tanzania, whose extreme poverty threatens efforts to stem its epidemic. 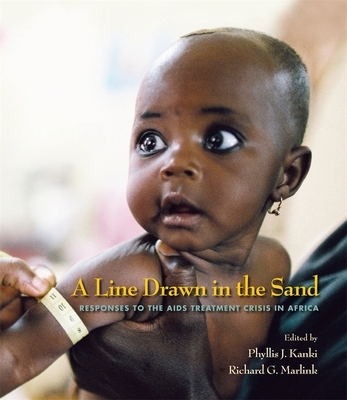 By emphasizing the dramatic results that investments in AIDS treatments in Africa can bring, the book provides lessons to nations about scaling up their own treatment responses, hope to individuals and communities confronted with the often devastating impact of AIDS, and inspiration to the international HIV/AIDS community.